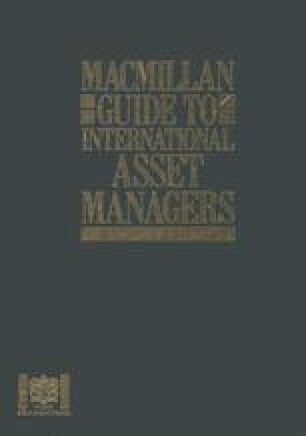 Morgan Stanley Asset Management (MSAM) was established in New York in 1975 and in London in 1986. It offers specialized value-oriented international equity and fixed-income management services to a wide range of government, corporate, institutional and individual clients. MSAM is the independent investment arm of the Morgan Stanley Group Inc., one of the world’s leading investment banks. The investment management group now operates in London, New York, Chicago, Tokyo and Hong Kong. An international staff provides expertise in the equity, fixed-income and currency markets of Europe, North America and the Pacific Basin. Funds under management and advice total over $24 billion.